Tiny Hearts are available as well as our large hearts. Photo courtesy Jodi Miller Photography. There's a part of me that's kind of in complete shock that I'm already talking about Valentine's Day. Shock is an understatement....I'm utterly in absolute disbelief and confusion that we're here already. Wasn't it Christmas yesterday? I'm pretty sure I'm right about that. ....Right? As much as I don't want to acknowledge...as much as I want to sit and snuggle in my living room with twinkle lights, Christmas tree, and stockings hanging up- I just can't any longer. Time is certainly moving on, I guess I need to as well. All the blogs I follow, Etsy, Pinterest and what have you is also on the Valentine's Day bandwagon...which means...I need to too. 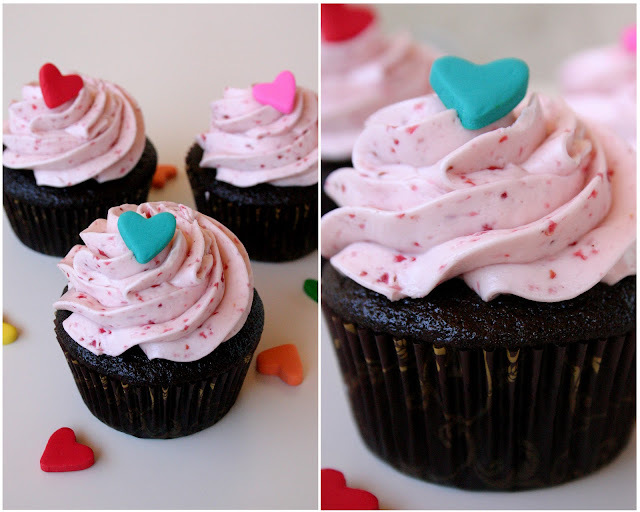 These would be perfect on your sweetie's Valentine's Day cupcake! We are almost exactly one month away from the big love day...I actually really enjoy Valentine's Day...I always have. I know there's people out there that don't- I actually have friends who "refuse" to celebrate...which is just silly to me. I'm not just saying that because I have a special Valentine either. Even if there's no love in sight- why not go out and have a girl's dinner (or guy's dinner too I guess...although...that might be weird). That's what I would do. Or better yet why not have a potluck fondue party at home and invite all your single friends and see if any sparks fly?? Dang....I want fondue. Like really bad. Actually I want to either throw or be thrown a fondue party. In my honor. No...not in my honor...but I want to be the attendee at one pretty awesome and snazzy fondue party. With lots of cheese and chocolate. Anyway, I wanted to list a bunch of Valentine's Day inspirations I have up on my shop! I hope it isn't bad taste to post about your own stuff. Is it? If so, shoot. I apologize for being lame. If it isn't, then YAY! If you ARE having a party of some sort I am SURE there will be desserts involved. MmMMmMM dessssssssssert (said in Homer Simpson voice)...Why not get some cute things to help your Valentine decor?? 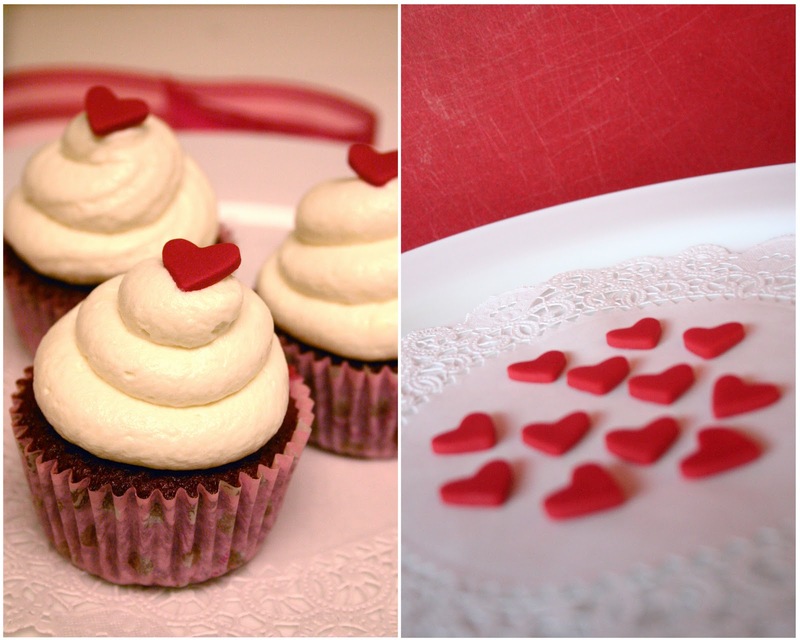 We, in my humble opinion, make some pretty neat Valentine's and love inspired things! I think it might be where we really shine. So let's take a gander! I originally did these butterflies in white...but after a recent order wanted them to be pink, I fell in love! 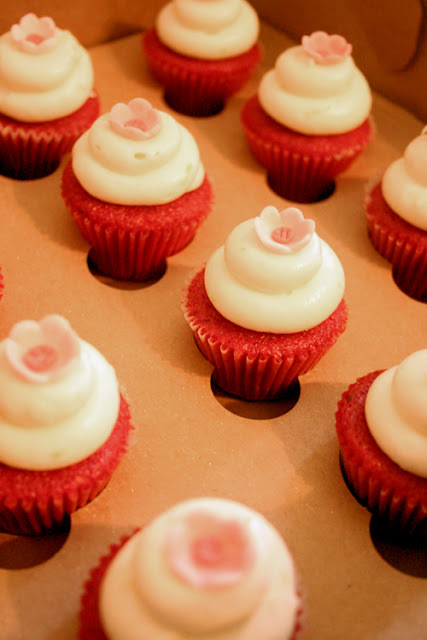 Although shown on a tini cupcake, these would be great on regular cupcakes or a cake! These bows are very special to me. They were one of the first things to go up on my Etsy way back when. They have since proved to be one of our biggest sellers...making their way into almost every color scheme. 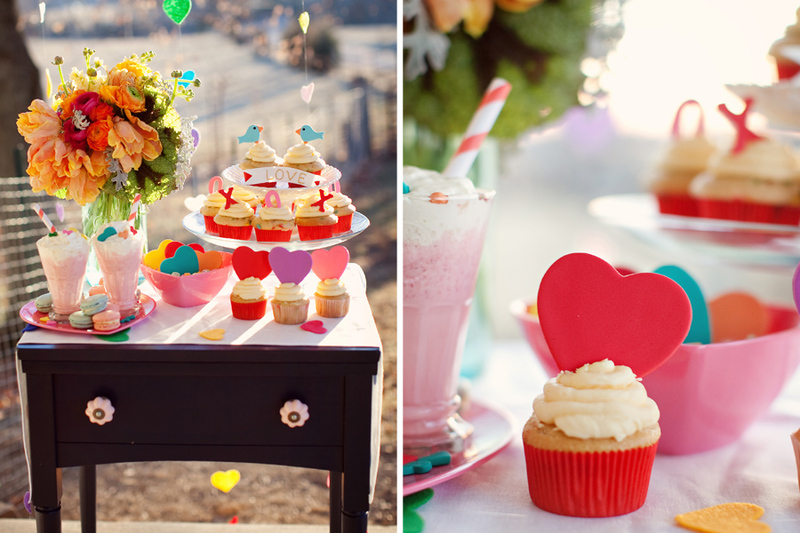 Wanting to throw a Hello Kitty inspired Valentine's party? This would be great on a cake! I had originally offered Miss Kitty as a wedding cake topper, but a creative mama wanted one for her little girl's birthday. So we exchanged her veil and red bow for a bright pink one and viola! Retro Valentine more your thing? This is for you! Colors are changeable! Little pink flowers would be sweet on top a cupcake or tini and given to a loved one. 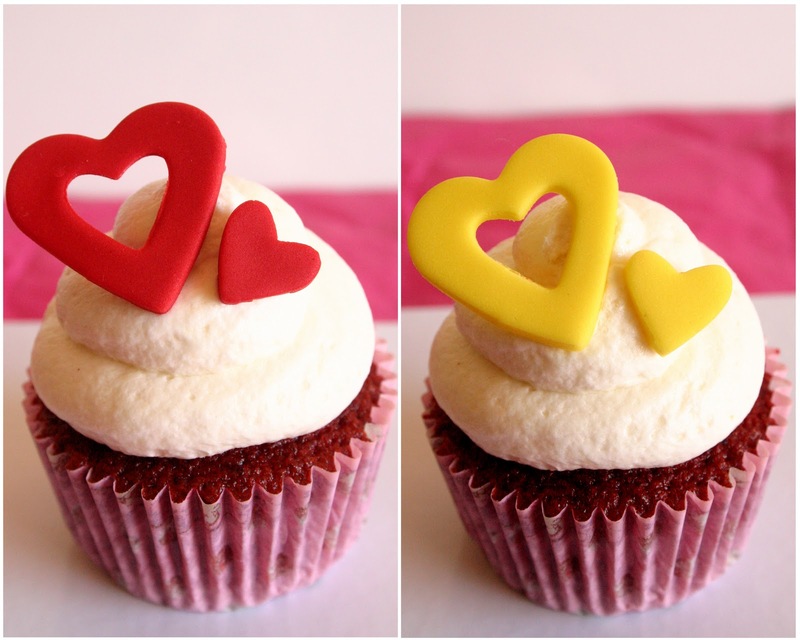 Puzzle hearts are another great cupcake topper! Hello Kitty strikes again!! She's kind of a big deal, if you didn't know. I loved the way this version of her came out. She's sitting oh so pretty on top a soft pink flower with a light shimmer. 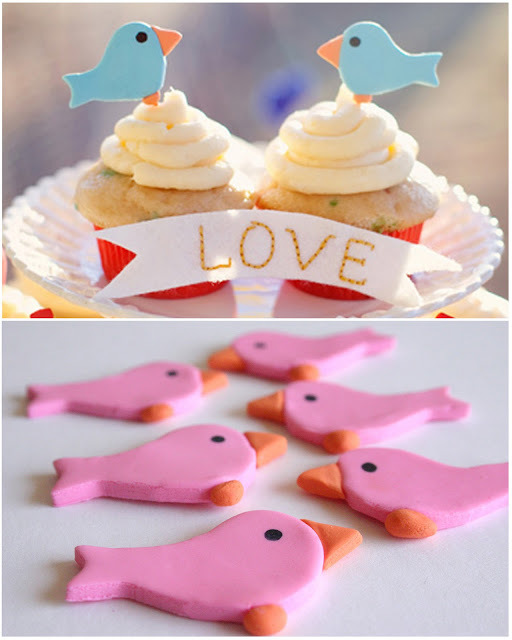 Our large hearts are a great addition to any Valentine's party! Bold colors your thing? AWESOME! Photo courtesy Jodi Miller Photography. 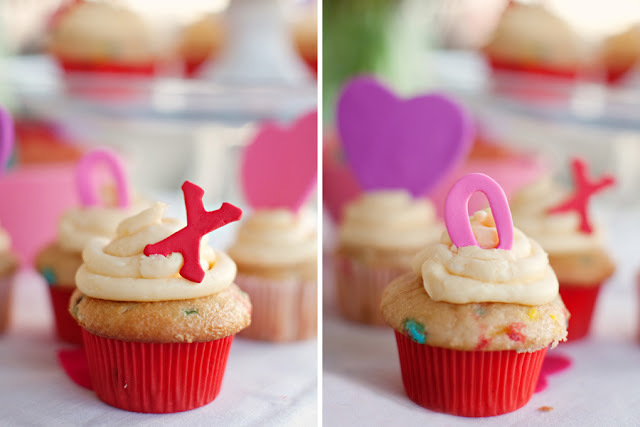 Edible X's and O's are a cute way to tell your honey you wanna hug and kiss him!! Photo courtesy Jodi Miller Photography. I love the bight colors of these! 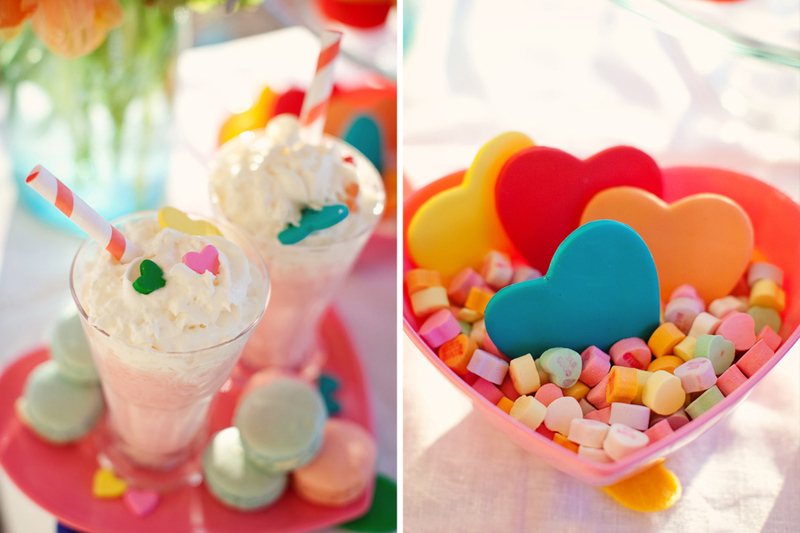 Our medium sized edible hearts within hearts are another great decoration for those of you who like bold colors and are going for the more retro feel! Medium hearts can be colored however you like!! 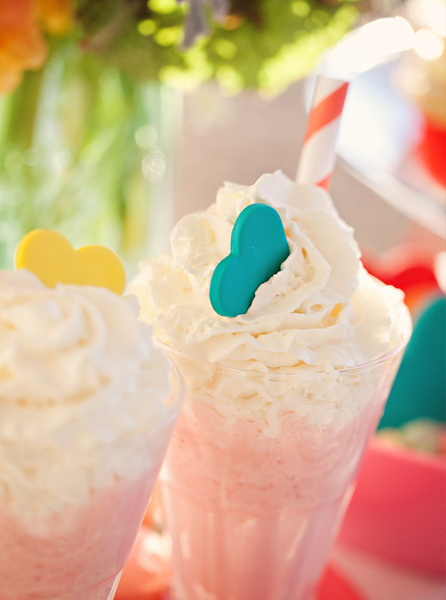 Perfect for cupcakes, cakes, tinis...or milkshakes! Photo courtesy Jodi Miller Photography. Pink mustaches? You don't say?? We gave our mustaches a little Valentine's Day make-over. What do you think?? 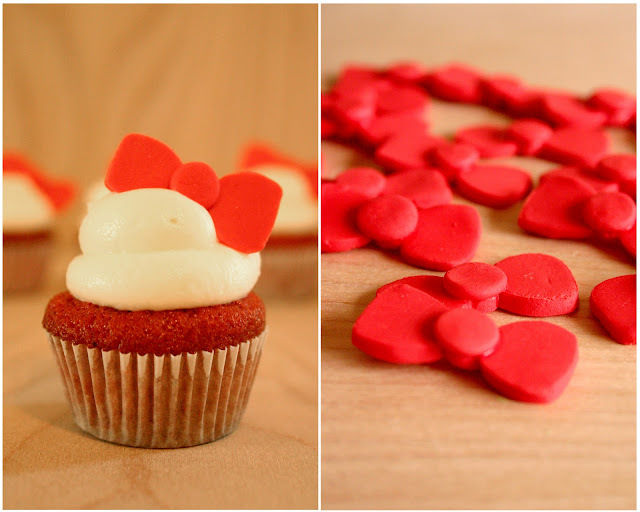 Tiny hearts can be customized to any color you prefer! Fat Birds are available here! Top photo courtesy Jodi Miller Photography. Awwww Fat Birds! Who can forget them!? We originally did these in a Robbin's Egg Blue (get it!?) and ended up re-doing them in a soft pink as well. Colors can be changed to whatever suits you. What will you guys being doing for Valentine's Day? ?